I’ve subscribed to A LOT of newsletters over the past several years. Some I sign up for because I love their content and don’t want to miss anything and some I sign up for because they’re offering a free download or worksheet but you need to join their newsletter to receive it. I’m sure I’m not alone in receiving way more emails than I can actually read each week. So I’m usually on the lookout for a reason to unsubscribe from a newsletter: headlines that aren’t relevant to me, emails sent too frequently, constantly trying to sell something, content being lackluster, etc. I believe these are the general reasons anyone unsubscribes from an email. But there’s another reason I do it….. I don’t know who the email is from! There are a few big mistakes I’ve been noticing more and more newsletter senders are making when it comes to their branding. So many people put their personal name into their email’s name field. If I’ve signed up to receive info from a blog called THE BEST S.E.O SECRETS but your emails come from a Jane Smith, I’m likely not going to open your email, unless it’s to unsubscribe. Update your name in your email account. If you’re using Gmail to send newsletters, you can update your name under the settings/gear icon in the top right corner and clicking “settings”. From there, click on the “Accounts” tab and edit your “send mail as” field. If you’re using a newsletter service like Mailchimp, you can update your First and Last Name fields under your profile. If the name of your blog or website is in fact your personal name, then consider adding a short tagline to your “send mail as” or name field. about improving your website’s S.E.O, she may decide to add “SEO expert” or “The SEO Guru” after her name. That way, when she sends out her newsletter, at a glance, her subscribers have a really good idea of who’s sending the email and what’s going to be inside. Jane Smith – The SEO Guru? Ahhh okay. I remember that blog and the super helpful article I read on it. I’ll open and read or at least not unsubscribe. At least then I know what the content of the email is going to be about. I currently have hundreds of emails in my inbox from businesses I don’t know. I obviously signed up for their newsletter but the sender’s first & last name doesn’t give me enough information to figure out which business is sending the email. Lisa, Ashley, Derek, Niel, Penny, Dale and Amy are within my first 15 emails and aside from 2 who are really well known bloggers, I don’t know what the other ones blog about. If I don’t know who you are, the odds of me opening that email go way down. You do still have an opportunity to get me to open your email if your subject line is great but I only come across a few in a day that really entice me. If your subject line does get me to click open that email, I’m going to be looking for a hint as to which blog or website the information is coming from so I can make a split decision whether it’s worth my time to read or click on the article link or offer. And if your subject line isn’t what made me click, I’m likely heading into the email because I don’t know who Jane Smith is and I’m going to unsubscribe. Your only saving grace at this time is if I find a logo or image that remind me; this is an email from that really wicked blog I stumbled upon the other week….maybe I won’t unsubscribe just yet. I’m a visual person, most creative people are. And if you’re speaking to other business owners, they’re probably creative as well. I personally remember colors, logos, fonts and faces. The ones that you use on your website should be used in your newsletter. All html text? I’m probably going to scan then scroll then unsubscribe. Harsh? Maybe. But honestly, time is valuable and emails are abundant so you need to get right to the point. I’m also less likely to take your advice about marketing, branding or growing your business seriously when you’re missing such an important element in your emails. Guess how many of those bloggers listed above had their logo in their emails? Three others had images in their newsletter but nothing that made a strong tie to their brand. The more elements you can tie in, the more likely I am to remember you. And the more I remember you, the more I come to trust you and become open to purchasing your products or service. Out of those 7 newsletters mention above, it was also really hard to find their business’ name in the majority of them. I actually had to follow a text link to go to their website and discover the name of it. That’s making the reader try a little to hard to remember you don’t you think? The content of your newsletter is really important but you’re trying to build a brand your readers begin to trust. Newsletters are often used as sales funnels. You entice your website visitors to sign up for your newsletter through a perk they can’t resist and through a series of emails, they get to know you, trust you and eventually buy from you. How is anyone going to get to know you and trust you if they literally don’t know who the email is from? Make sure your business name is present in each newsletter you send. Your emails should become familiar to your readers. They should know what to expect when they see your newsletter in their inbox and see the same look, feel and quality each time they open one. Why do you love your favorite TV shows? It’s because you get to know the main characters, are familiar with the types of story lines and see similar scenes each week (their living room, their coffee shop, etc.). It starts to feel like a piece of home to you. 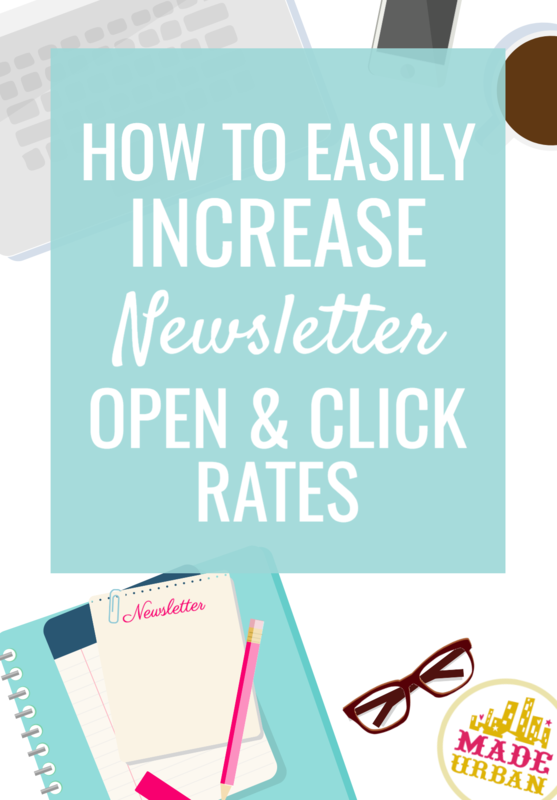 This is what your newsletter needs to become to your readers. This should be your business’ name and your logo and appear right at the top of your email. Don’t just send an email out for the sake of sending on. Ensure it’s full of valuable information so your reader starts to know you, trust you and look forward to opening your next newsletter. I know a lot of you bloggers have an awesome headshot photo that appears on every page of your site, on the right hand side. Include that in each email. Your emails should have a personal touch and the reader should feel as though you’re talking to them. If your brand is built around you, then I think it’s really important that the reader can picture who is talking to them. Your website no doubt has a color scheme that is based around your logo. Any colors you use in your newsletter should be using those same colors. If your logo uses turquoise, white and grey, make your background white, your main text grey and your links and any blocks, boarders or dividers would be turquoise. Font is one of those things you may not think people notice but when they open email after email and see Arial, they’re going to notice a font with a little more personality. 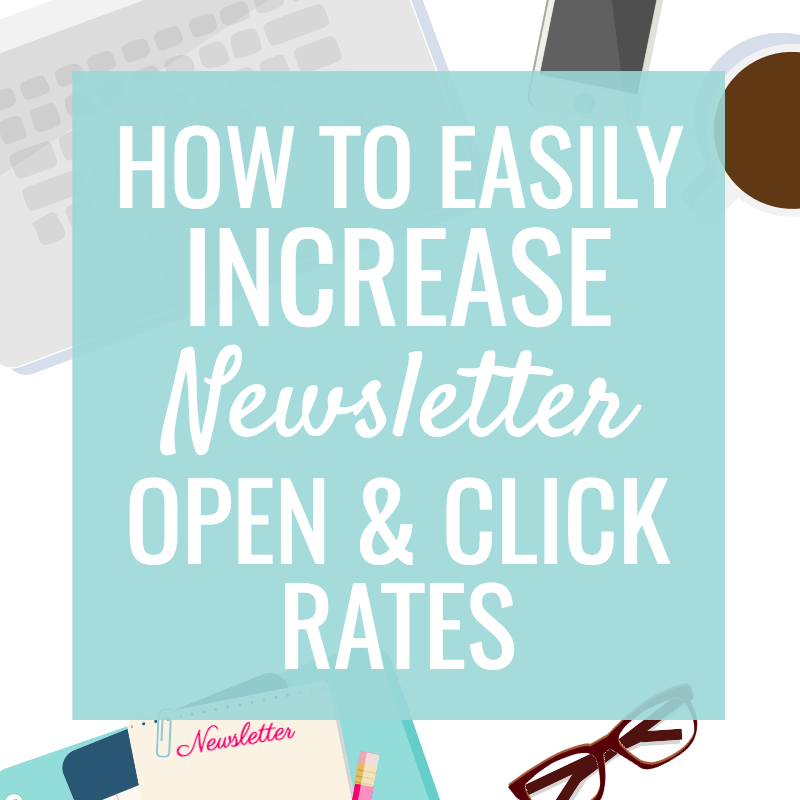 It’s not going to detract from your newsletter if you don’t use the same font as your website but it will add that extra little something if you do. You should also try to keep a similar format from newsletter to newsletter. Readers will associate your layout with your website, further strengthening your connection with them and strengthening your brand. Especially if you don’t send emails very frequently, if I receive a ton of emails (which I do) or if I just signed up for your newsletter and aren’t familiar with your brand. Can you imagine if your favorite big brand sent emails out from a personal account and didn’t include a mention of their business name? Imagine emails from Gap had the sender’s personal name in the “from” field and when you opened the email there were no Gap logos and you couldn’t even find the word “Gap” in the email. You would wonder what kind of an operation they were running. Branding is in the small details and your brand should be apparent in each aspect of your newsletter from the colors to the language you use. This one is important if you’re trying to sell me something. I don’t know whether you’re a team of 1 or 20. Whether you’re writing the email from your couch in your pajamas or an office with a view in New York. If the email is plain Jane and I can’t even find the name of your business, I’m going to assume you’re more of an amateur than an expert since you’ve missed a basic. Make that email look like your “newsletter team” or graphic designer put it together because you’re too busy dealing with clients and counting your money. Then I may put more thought about paying for your services or product. There you have it: a very common mistake and the simple fix. Ensure your “from” field has your business name, your newsletter includes your branding and mentions your business’ name. Seems like a no-brainer but as I mentioned, the vast majority of emails I receive from bloggers, big and small, are missing these elements. So you can easily set yourself apart by making a few small changes.